Historians usually refer this place as a center of famous Greek town. Situated in the neighborhood of a volcano, which now is not active any more, the town suffered from its eruptions for several times. 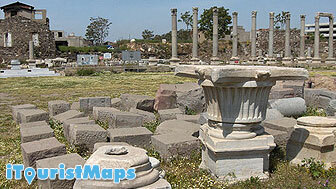 A perfect place for history lovers, Tepekule is situated in a pleasant area of Izmir not far from Bayarakli park.